It’s official! 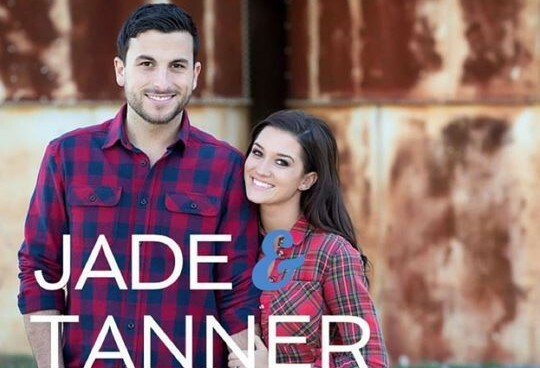 In latest celebrity news, celebrity couple Jade Roper and Tanner Tolbert, who met on the reality TV show Bachelor in Paradise, will be tying the knot on ABC on Valentine’s Day, according to UsMagazine.com. Talk about a romantic and extravagant affair! Though their celebrity relationship started on TV, it’s continued outside of the limelight in Kansas City, Missouri for the last several months, gaining strength every day. The duo also had some more big news to share, as they just put a deposit down on some land to build a new house! This celebrity couple is getting married on ABC! What are some benefits to a big and lavish wedding? 1. It truly is a special occasion: More than likely, you’re not going to huge and lavish affairs every single weekend. It truly is a splurge, in every sense of the word, if you have a large and lavish wedding. It’s a time to feel special with your partner, so why not go all out? Related Link: ‘Bachelor in Paradise’ Celebrity Engagement: Find Out the Details! 2. It’ll go down in history as the best day ever: Not only will a crazy big wedding not be forgettable anytime soon, it’ll go down in the record books as many people’s “best day ever.” There’s nothing like having something so positive associated with yourselves as a couple! 3. You can pretend you’re a royal couple: Having a huge wedding will allow you to indulge your fantasies a little bit. Take some time to think of yourselves as a royal couple, and don’t let your insecurities creep in. What are some other benefits to a big and lavish wedding? Share your thoughts below.